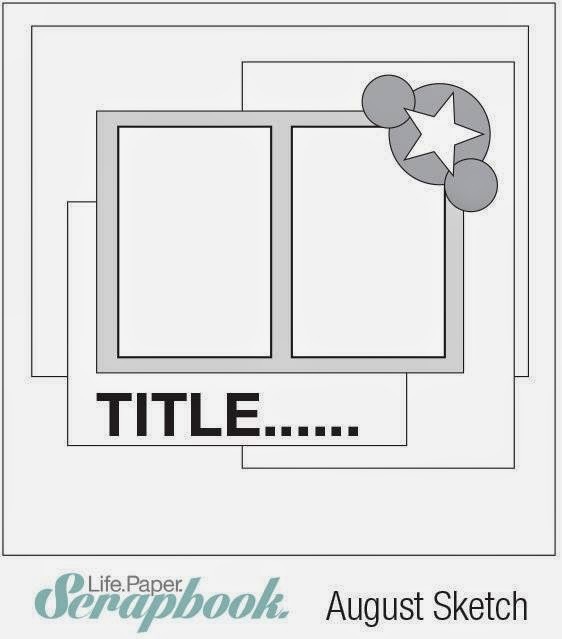 We're having a new sketch for you at Life.Paper.Scrapbook. and this one is sponsored by Scrappy Canary. Instead of using two photos, I decided to add a cut file next to the photo I wanted to scrap. I used the open road cut file from the Travelin' On set from The Cut Shoppe and made it the same height as the picture. 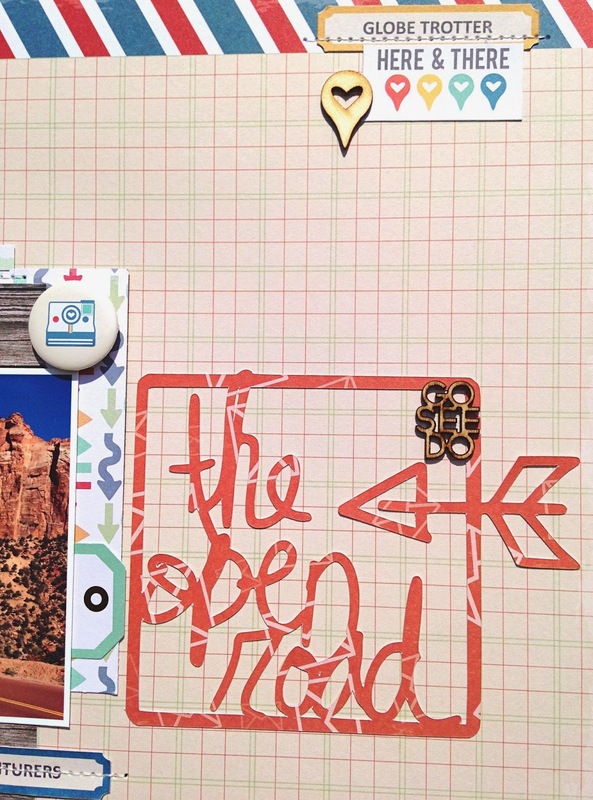 All papers and embellishments are from the Chic Tags Let's Go collection. 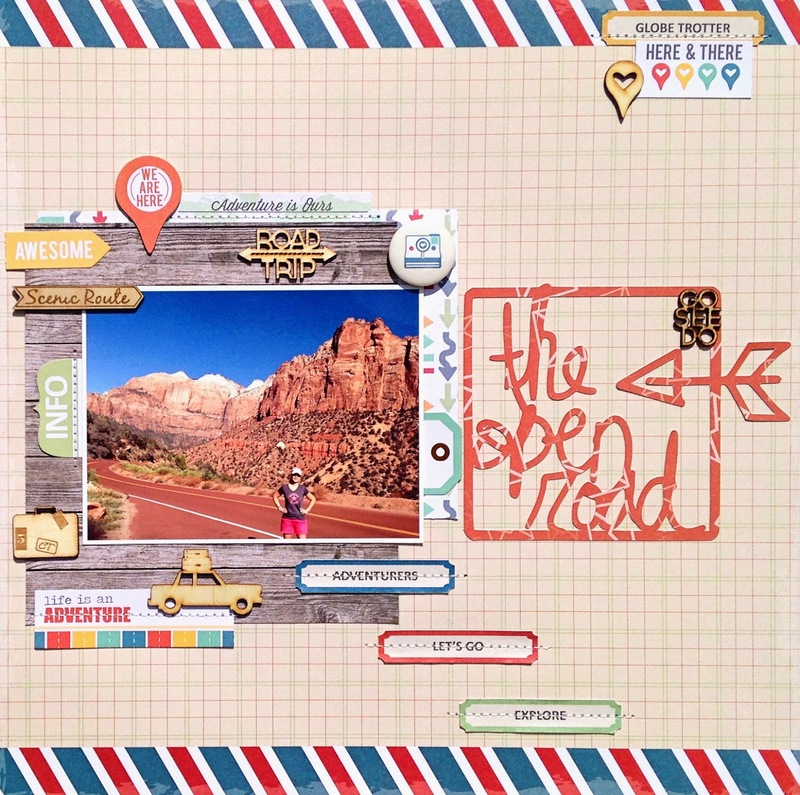 You can link up your layouts based on this sketch overhere at Life.Paper.Scrapbook. for your chance to win a prize worth AU$25 from Scrappy Canary. Scrappy Canary (formerly Polly Scrap! Kits) is Australia's premier crafting kit club, offering monthly Scrapbook, Pocket Life and Embellishment kits. Our kits offer a handpicked selection of the latest papers, embellishments and exclusive items all coordinated and shipped direct to your door. In addition to our kits our store also stocks other coordinating embellishments for those who love extra goodies to play with. WOW!! Love this layout Danielle! Great design and use of the Chic Tags collection! And I love the cut file on your page!! That is AZ!! I just know it!!! I loveeeeeee this! LOVING the stitching and the title work!!!!!! 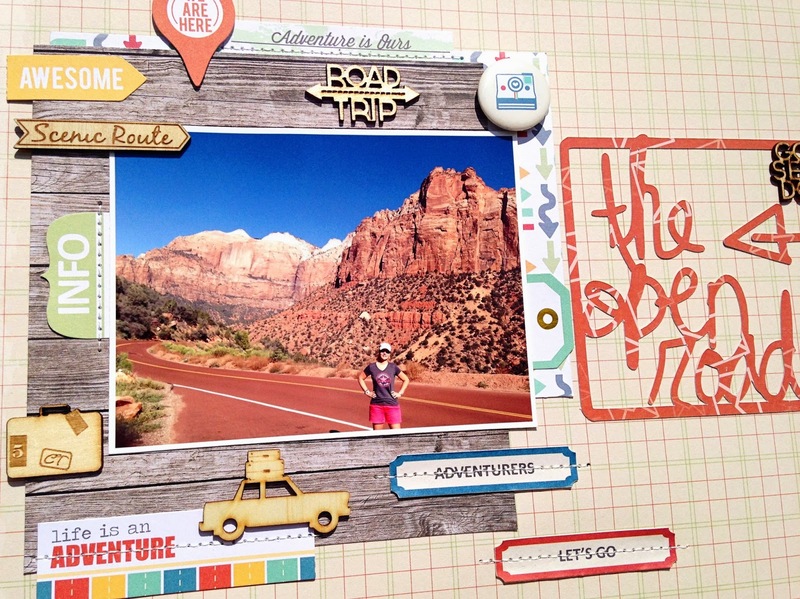 Your travel pages are always so awesome, Danielle! Love the stitched labels and the cut file as a fill in for the second photo! Love the cut file, it goes really well with the sketch! The Cut Shoppe Blog Hop - Selfie or Usie?